A comprehensive list of hand-picked gadgets in various price ranges to help you find the best value products for your budget. When you start shifting your diet towards eating whole, plant foods, you want to make sure that your kitchen is well equipped to make food preparation easy, enjoyable and fun. There are a few essential tools, like a high-speed blender, a couple of decent knives or a nonstick pan, you really shouldn’t miss out on, if you’re truly committed to being successful on this new way of living. And then there are a few optional gadgets like spiralizers or nut milk bags that will help you to create fun and creative dishes and therefore make your journey even easier. 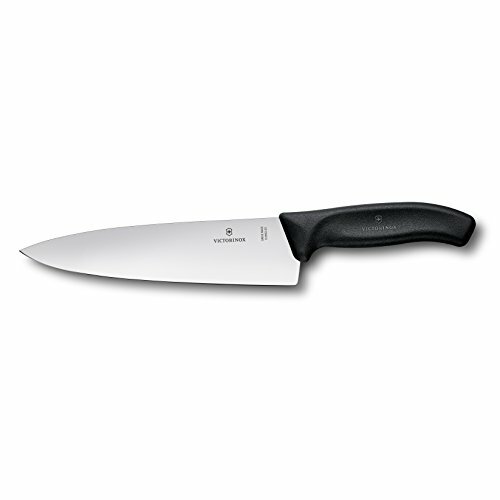 Knives are probably the utensils you are going to use most frequently, so you really want to invest in a high-quality chef’s knife to make everyday’s cutting and chopping a breeze. 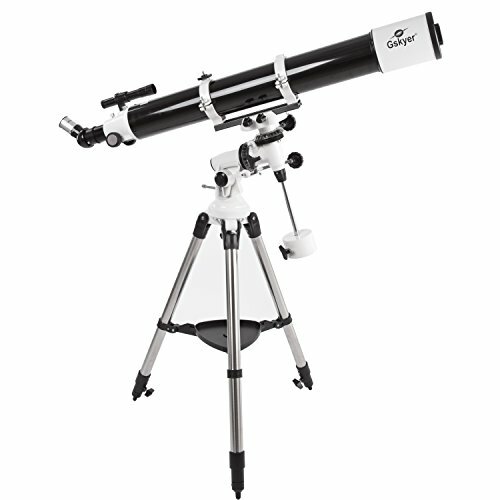 You don’t even have to spend a ton of money to get a solid model that will probably last you years and years to come. The Victorinox Swiss Classic 8″ is a fantastic choice for its sharpness, robust build quality and fair pricing. 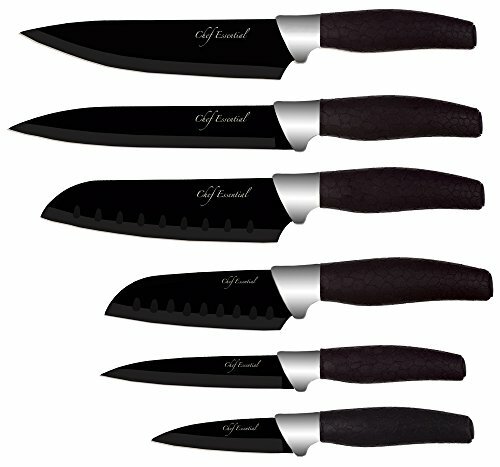 Ideally, you also want to have a knife sharpener to take good care of your knife and keep it in sharp condition. Another vital component of your plant-based kitchen is a high-performance blender. 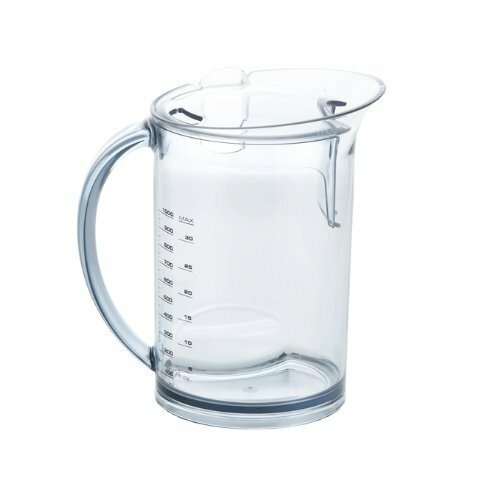 It’s used for (green) smoothies, sauces, dressings, nut milk, spreads and much more. There’s a good chance you’ll use your blender on a daily basis, so you really want to have a robust and reliable product. If you can afford it, we highly recommend a high-end blender from the Vitamix or Blendtec Product range. 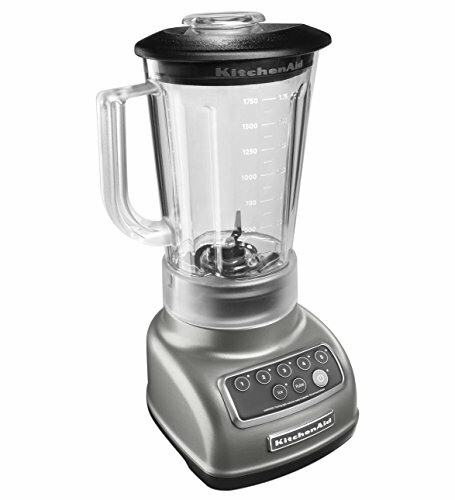 Both brands stand for blenders with superb quality and cutting-edge performance. Both come with a worry-free 7-year warranty. You won’t go wrong either way. The Vitamix 5300 and Blendtec Designer Blender are 2 fabulous options in the high-end segment. Yes, they are a bit on the pricier side, but certainly worth every penny. 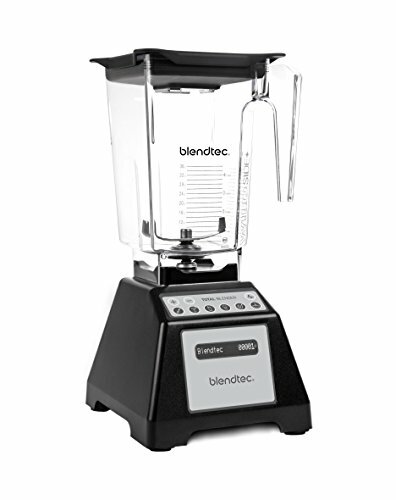 Blendtec and Vitamix also offer refurbished products which provide fantastic value for their midrange prices. 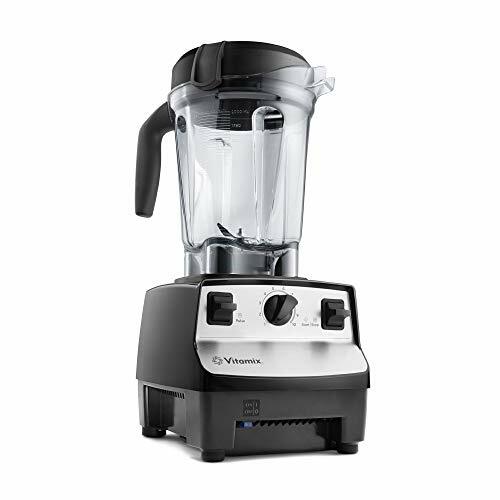 You don’t have to dig that deep into your pocket and still get a very powerful and durable blender with a 7 year (Blendtec) / 5 year (Vitamix) warranty. This Kitchen Aid Blender provides a BPA-free jar and is still reasonably potent for its price. It will be a good option until you can afford one of the premium blenders. Juicing is excellent for cleansing your body. While still getting all the nutrients in, your digestion doesn’t have to cope with all the fiber and gets a well-deserved rest. Now all energies can flow towards healing and re-energizing your body. Whether you go on a full-on juice fast or just want to incorporate a daily morning juice to start things off, a good juicer is invaluable. 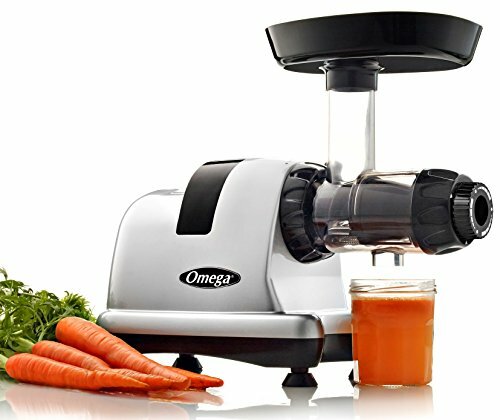 The Omega J8007S is a low speed, masticating juicer. Contrary to high-speed centrifugal juicers, there won’t be any oxidation and all nutrients and vitamins will be preserved. The juicer is super efficient and does a wonderful job of extracting as much juice as possible. The pulp that’s left behind is extremely dry. You’ll be able to prepare vegetable and green juices with the greatest ease. There’s even an attachment that allows you to create your own fresh nut butter. 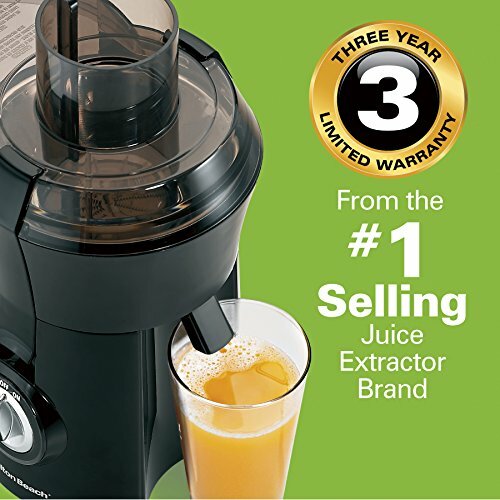 For those looking for a fast, durable and easy to clean juicer, the Breville JE98XL Juice Fountain is a very good choice. It’s a centrifugal juicer and delivers unrivaled performance in this price segment. Be aware, though, that due to its centrifugal nature, you won’t be able to make green juices effectively. The Hamilton Beach Big Mouth Juicer is a good option if you’re wanting to find out if juicing is your thing. It does a fairly good job of extracting juice even from tougher produce. A good buy for the price. 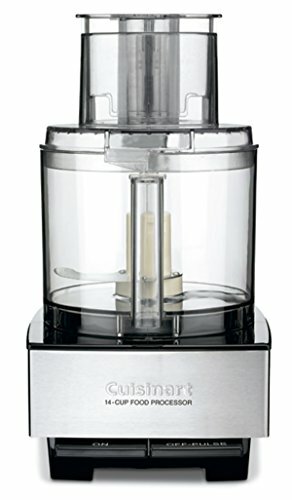 A food processor comes in very handy for preparing sauces, salsas, energy bars, nut butter or all kind of raw desserts. It also chops and slices vegetables conveniently and fast. The processed food can be easily removed out of the bowl in contrast to a blender, where foods often bind at the bottom. 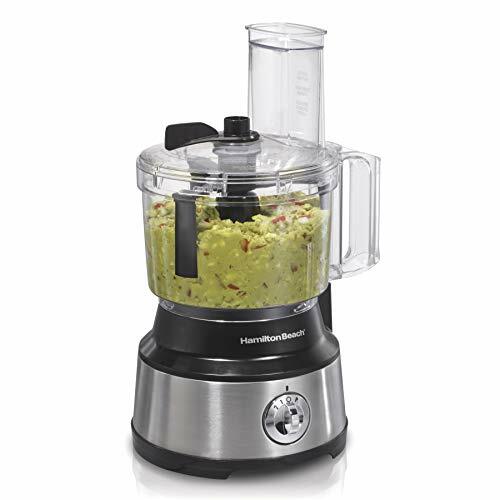 If you’re on a budget, you can stick to a simple and still effective food processor like the Hamilton Beach 70730. A spiralizer is a nice little tool to turn your vegetables into noodle shape. A must have for every pasta lover. 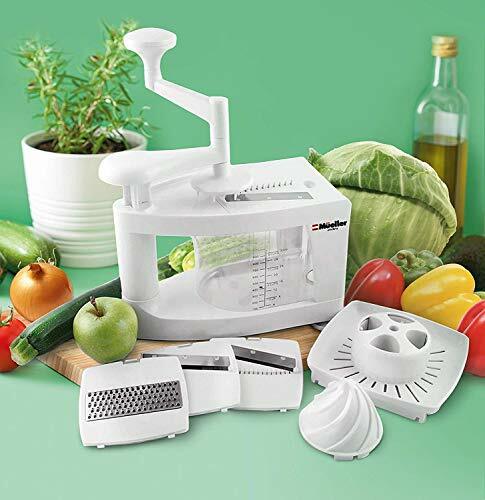 The Müeller Spiral-Ultra 4-Blade is a fairly advanced spiralizer that offers durable design and great versatility with a mandolin slicer and a citrus juicer included in addition to its spiralizing function. 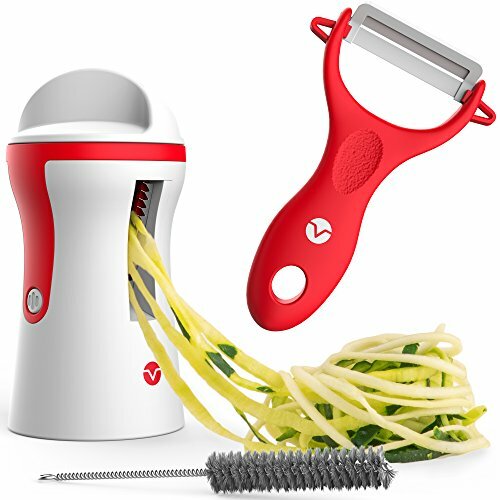 The Vremi Spiralizer one is more pure and handy in its design. It’s very easy to use and gets the job done in no time. If you don’t need any other bonus functionality, this is your perfect choice. A nut milk bag is the perfect utensil for creating your own homemade nut milk. 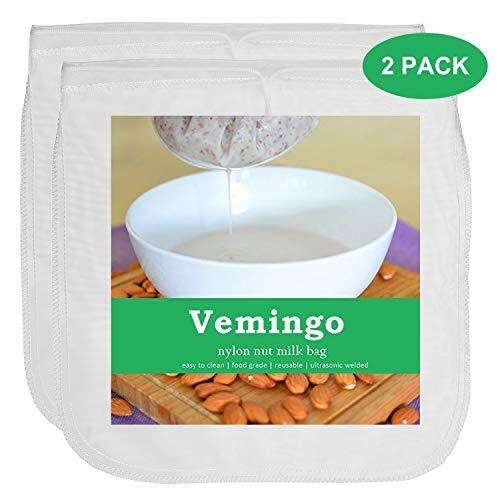 Blend your favorite nuts together with some water (add vanilla or a few dates optionally), then strain it using your bag – you’ll be left with a smooth and flavorful milk. The bag is durable and reusable. Jars are perfect for storing food and smoothies. You can use them for nuts, seeds, crackers, sauces, juices and much more. They also come in very handy for fermenting foods. The 32oz version is usually a pretty good fit but you can also choose 64oz, if you’re planning on preparing huge smoothies or just want to store in larger bulks. 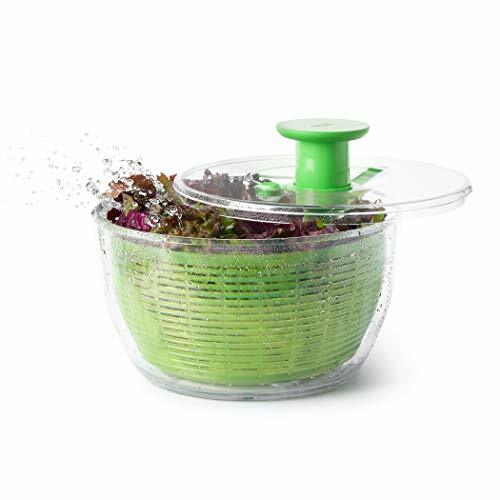 A Salad Spinner makes it easy to wash and dry your leafy greens. Salads will be richer in flavor when the dressing is not diluted with water from the greens. The bowl itself has a large capacity and works great for serving the salad. The OXO Good Grips Salad Spinner is our recommendation considering its nice looks and the solid build quality.